Cristiano Ronaldo's sensational form continued as he scored one goal and provided an assist for another against Frosinone. A sensational report reveals how his arrival to the Serie A has boosted Juventus and Italian football. Cristiano is one of the standout performers in the Serie A this season. With 19 goals and 8 assists, he is top goalscorer and the top assist provider in the Italian League. It is quite amazing how he has directly participated in 55% of Juventus' goals so far this season. 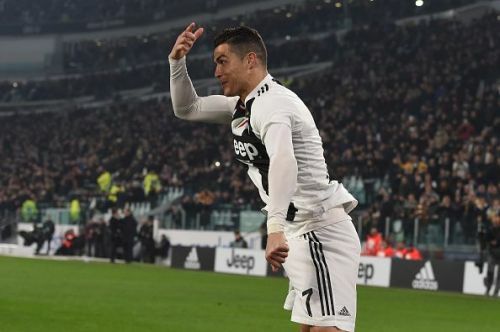 The Portuguese talisman is not getting any younger but despite being 34 years old, he is breaking records at ease and showing what he is capable of at Turin. His impact on Max Allegri's Juventus is staggering as they are unbeaten in the Serie A so far. Cristiano's move to Juventus from Real Madrid shocked the whole world last summer and Cristiano Ronaldo's arrival in Italy had a massive impact on both Juventus and Serie A. A report by Spanish media outlet, Marca, shows Ronaldo's impact off the pitch as he has assisted the growth in Juventus' brand. The first kit of the team was sold out in just one month and Adidas Spain also reported a boost in Juventus shirt sales in the country. Moreover, a study carried out by the club regarding their social media has shown that their networks have boosted with a 30% growth, increasing the number of followers to 16 million users. While their YouTube channel saw a 136% boost, their Instagram account grew by ten million followers. Their Twitter account experienced an increase of 10.73%, which resulted in a massive growth of followers since Cristiano's arrival at Turin. Meanwhile, according to stadiapostcards, the overall number of fans in Serie A increased by 2.30 percent and Juventus' attendance has gone up by 4.54 percent. On the other hand, the Estadio Santiago Bernabeu's average attendance has seen a decrease, from 65,027 to 62,340 in the current season. After a routine victory against Serie A side Frosinone, Juventus face a stern test in the Champions League as they take on Atletico Madrid.